When I first heard Harvard Professor Jennifer Lewis speak about using the laws of nature to guide research in 3D Printing and other novel fabrication methodologies, I did not fully grasp the broad range of applications for the work being conducted at the Wyss Institute for Biologically Inspired Engineering in Cambridge, MA. 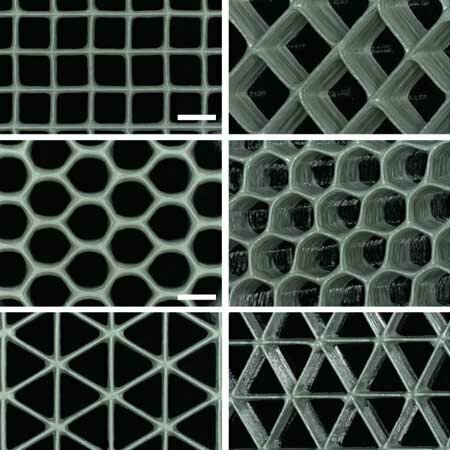 However, Professor Lewis’ paper 3D-Printing of Lightweight Cellular Composites demonstrates the possiblities for new manufacturing tools when looking to the nautral world for guidance. Recently published online in the journal Advanced Materials, the research centered on mimicing the performance characteristics of balsa wood, a key material used to fabricate wind turbine blades. 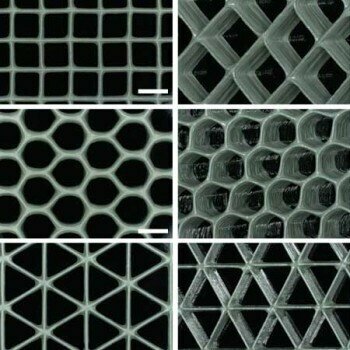 In collaboration with Brett G. Compton, a former postdoctoral fellow in her group, Professor Lewis combined fiber-reinforced epoxy-based thermosetting resins and novel 3D printing techniques to generate cellular composite materials of unmatched lightness and stiffness. The 3D printing method itself is fascinating. Key to the project was perfecting inks made of epoxy resins, spiked with viscosity-enhancing nanoclay platelets and a compound called dimethyl methylphosphonate, but also with two types of added fillers: tiny silicon carbide “whiskers” and discrete carbon fibers. It turns out that the direction that the fillers are deposited controls the strength of the materials, just as it is easier to chop a piece of wood along as opposed to against its grain. 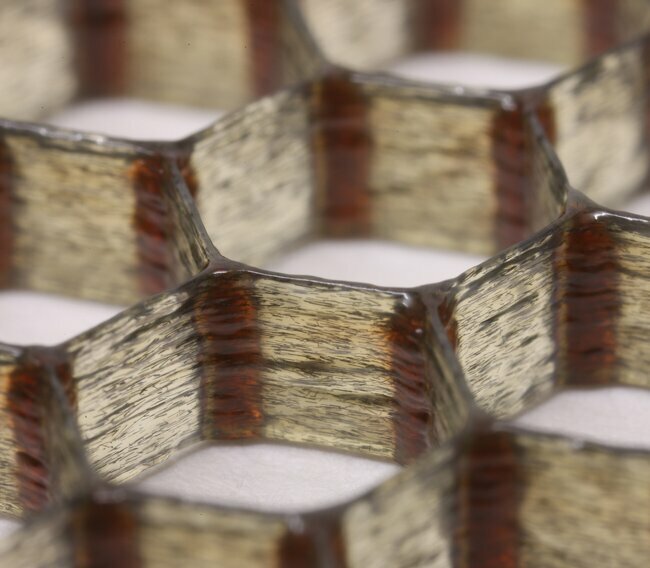 Verification tests have shown that the technique yields cellular composites that are as stiff as wood, 10 to 20 times stiffer than commercial 3D-printed polymers, and twice as strong as the best printed polymer composites. You can see a video of the process and perhaps also be inspired by the wonder of nature! Primary support for this research came from the BASF North American Center for Research on Advanced Materials, along with National Science Foundation.